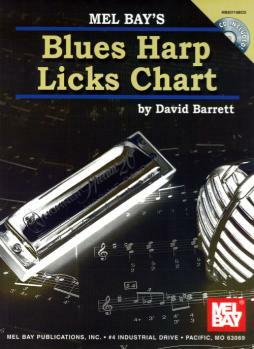 The Blues Harp Licks Chart will help you increase your lick vocabulary and develop your soloing skills. The licks are presented with and without bending to musical examples on CD. An in-depth phrasing chart is also included to show you how to place your new licks into context. The chart and CD both use a C harmonica in 2nd Position.